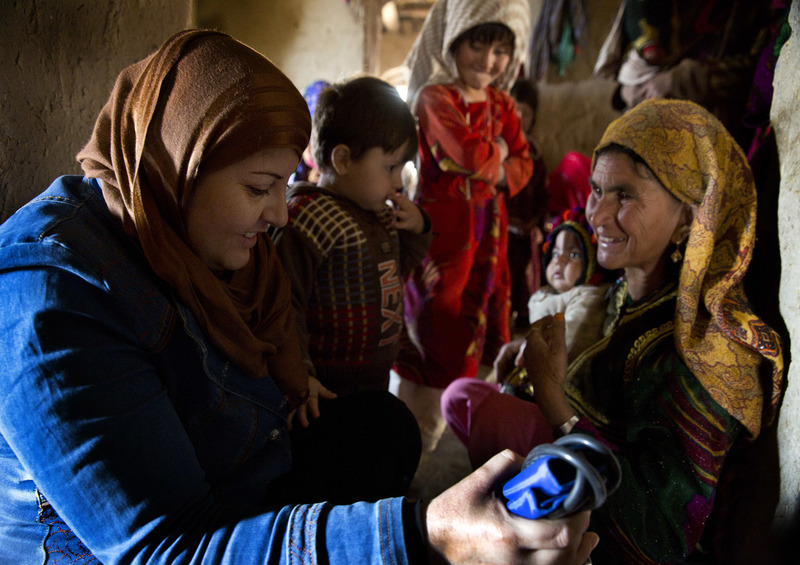 HealthProm has been working to reduce maternal and under-5 mortality in mountain villages of Balkh Province since 2008. Recognising the wider determinants of health that contribute to the health of mothers and children, our work uses a range of approaches designed to improve access to basic health services, availability of clean water and improved nutrition. Our Afghan partner NGO, HADSO, works at the community level raising awareness of the risks of pregnancy and childbirth through village Safe Motherhood Groups, facilitating regular visits from government midwives to provide antenatal care, birth planning and health education in schools, and providing transport to health centres or hospitals for women in labour. Because unclean water and malnutrition contribute to child deaths, our local partner works with villagers to provide access to clean water and helps them to channel surplus water for agricultural use. They also help with the building of crop stores, which allows villagers to have more control over their income as they can hold their crops until prices rise. The sale of crops enables villagers to pay an increasing share of the cost of emergency transport to take women in labour to health centres, contributing to the sustainable impact of this work.